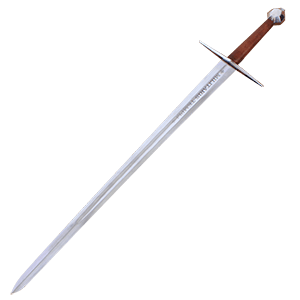 Its not uncommon to find that while you might have a need or desire for a sword, the design and make of the sword are two things that have been left undecided. If this is your dilemma, then perhaps you should browse our Swords by Use section. Here in this section, you will find virtually all of the swords we offer, divided up into categories that will help you locate the sword you seek to fulfill whatever need it is you have. If you need functional swords, you can find them here: some are sharp, some are blunted, all are battle-ready, and so long as you treat your sword properly, it will withstand the test of time and see you through battle after battle. And when then ravages of time do catch up to your functional sword, you can also find replacement blades here, as well. If you need training swords, we have a variety of wooden swords that are perfect for sparring and solo-training. For self-defense, nothing levels the playing field like a good sword cane, which we also carry here. 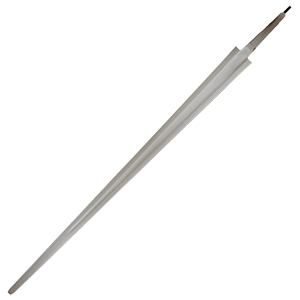 And of course, if you are just looking for a beautiful display sword, we have dozens of decorative swords that are made for collection and display. In short, here in our Swords by Use section, you will find swords that fulfill virtually any use you could put a sword to, whether you are training, battling, sparring, acting, demonstrating, or even decorating. Here you will find a wide variety of decorative European style Medieval and Renaissance swords that are great for office and home decor. 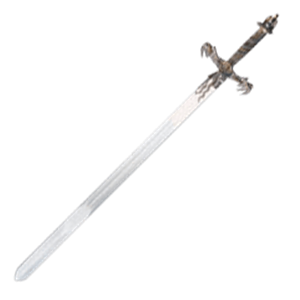 Our decorative swords category has every decorative sword located on our web site. These decorative swords are from all the manufactures from around the world like Denix, Armaduras, Art Gladius, Marto and Martespa. This makes it easy for the interior decorator or costume designer to decorate a home or dress for an event like a wedding or party. 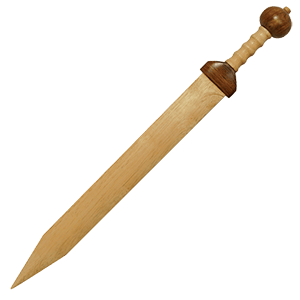 Swords in this category include Roman swords, Viking swords, Medieval swords, Scottish swords and knight swords. Decorative swords are mainly used as wall decor, displays, home or office decor, or for medieval costume. This makes them perfect as a home decoration and conversation pieces, as well as for the sword collector or enthusiast.